Leeds United raid is all that's left for Fulham to get their Premier League into serious order | The Transfer Tavern | Where football transfer rumours fly or die! Fulham fans are excited for the Premier League season that is fast approaching having seen the early intent their owners have shown with new signings. Fulham shocked the league by recruiting Jean Michael Seri, a player extremely highly-rated and now they have to build on that hype to secure other top players. Despite already bringing in a new centre-back, the Cottagers should look back at the Championship and realise that Pontus Jansson is a player worth investing in should is form continue in the top flight. 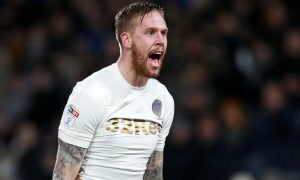 Valued at £5.4 million on Transfermarkt, Jansson has been a standout player for Leeds ever since joining Elland Road in 2016 and last season was no different even if the team suffered from a lack of form for large parts. 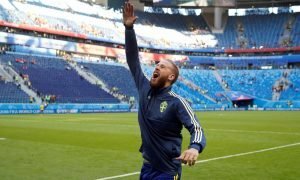 After making 42 league appearances, the Swede shows that he is more than capable of playing a full season and could be good enough to make the jump into the Premier League. Fulham will plan on doing all they can in order to survive in the Premier League and with the added experience at the back from Leeds’ Pontus Jansson, their top flight experience could be made a lot easier judging on the form he has shown over his two years in English football. Having a stable defence will not only make them harder to beat but it means once signing who they need to at the back, goal-scorers can be their top priority signings during the last parts of the transfer window.